By looking over this simple tutorial, you can make this Tiki torch that's perfect for your backyard with a cloth, some matches and a dash of olive oil. 2. 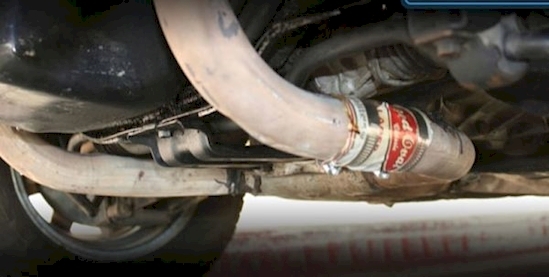 Fix your car exhaust with a beer can! This step by step tutorial will walk your through how to use simple tools and materials from a hardware store to fix your leaky exhaust pipe yourself. Save yourself some cash instead of taking it to a body shop! 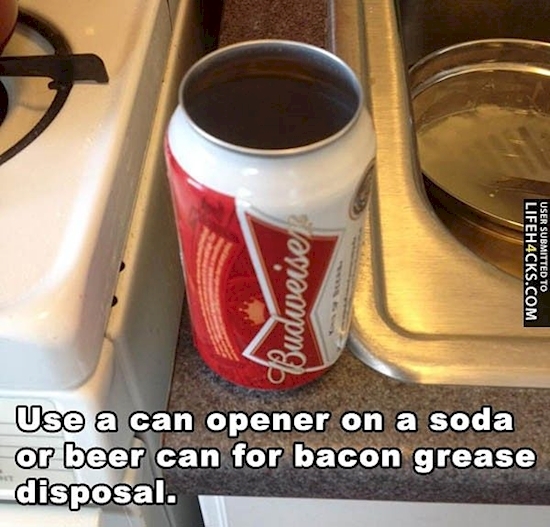 Instead of ruining your plumbing by putting grease down the drain or letting it get on your counter, use a beer to keep your kitchen clean. 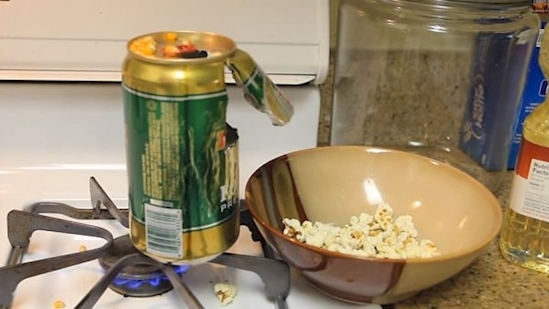 In this video a vlogger shows you how to make an insane popcorn machine out of a beer can with a little cooking oil and some fire. 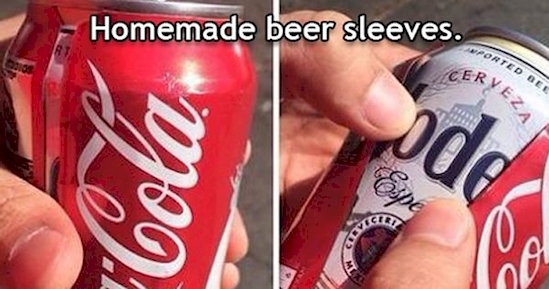 You won't believe it until you see it but this hack is LEGIT. 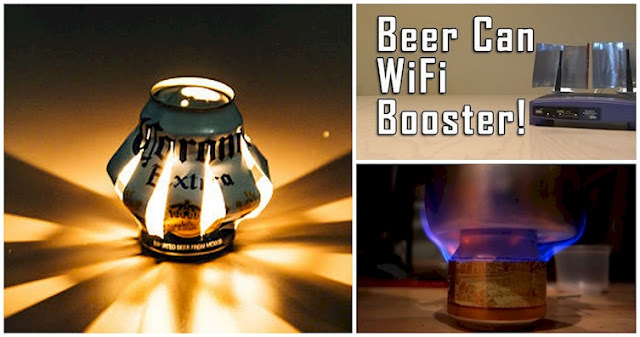 With a little bit a tape or better yet, a glue gun, you too can become a beer can artisan and build yourself some furniture. 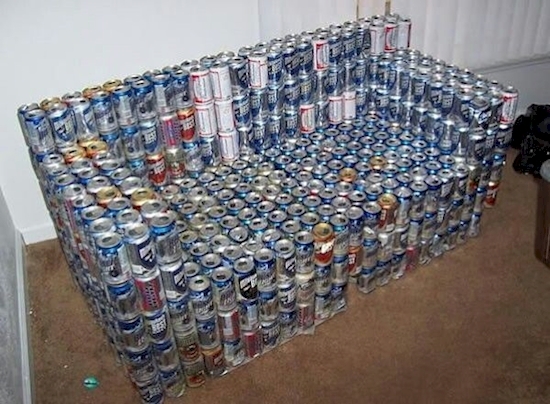 Make sure you clean out the cans first and throw some cushions on top. Travel with your favorite beer incognito by simply slicing the top and bottom off of a regular soda can and slip it over top of your favorite brew! 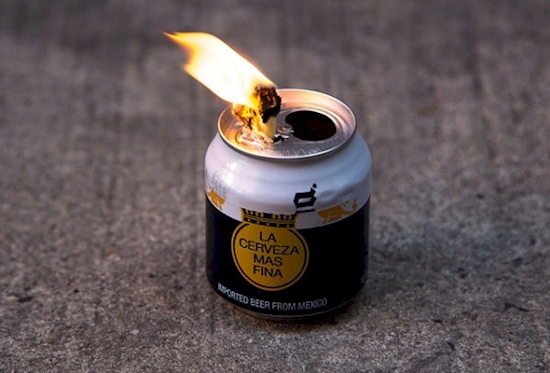 Watch this insane video to learn how make an insanely convenient and incredibly simple camping stove with a beer can, a pocket knife and rubbing alcohol. With an Exacto knife and a candle you can make a lantern that's perfect for summertime camping. 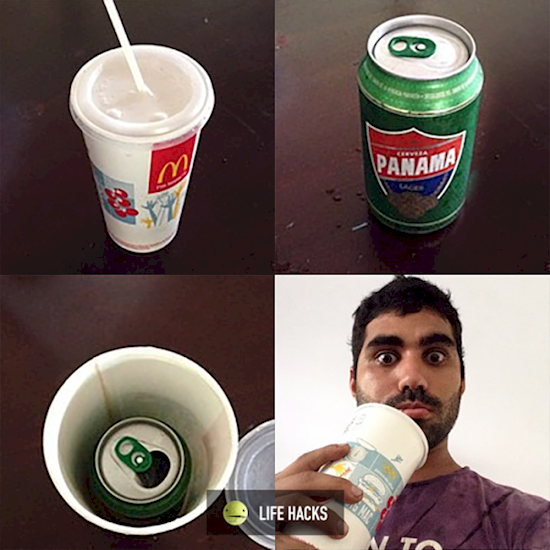 Bring your beer with you on the sneak by stuffing it in a restaurant soda cup without anyone being the wiser. 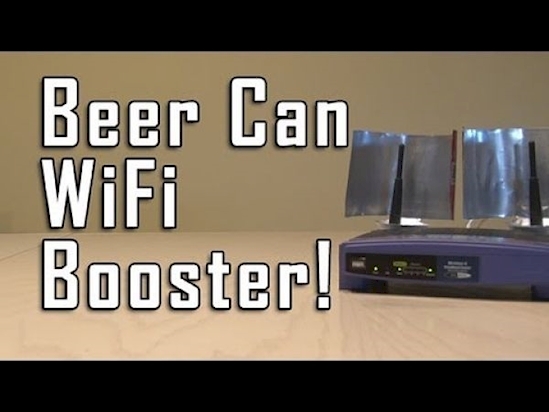 Check out this video to learn how to slice and dice the aluminum from beer cans to boost your WiFi reception.